It has the feel of royalty to it. 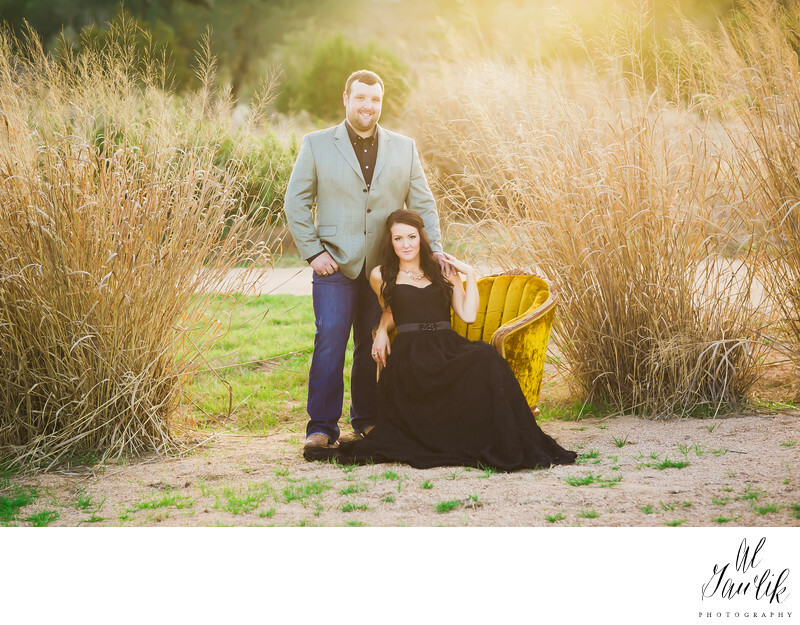 Future bride is relaxed in a classic wooden chair at the edge of the woods and he is standing just behind her shoulder with his hand holding her. They are both smiling, knowing that they have found each other in a complex and confusing world. What a lovely engagement portrait by AL Gawlik Photography.